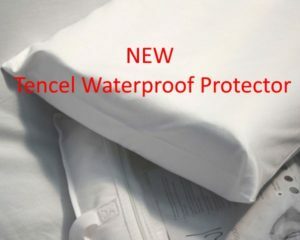 TENCEL fabric lined with a waterproof backing. Tencel fabric has natural breathable properties to protect your pillow against allergens. 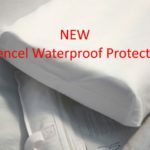 Waterproof backing protects against moisture and stains.